We are currently updating our website. Further changes will soon be captured on our website. The Government of Canada recognizes the importance of affordable and reliable high-speed Internet. Access to better, more reliable broadband allows Canadians to participate in the digital economy and take advantage of advances in telehealth, e-learning and remote access to government services. 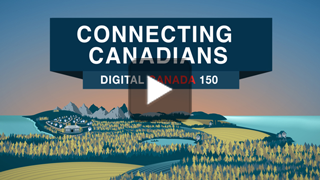 Connecting Canadians helps households in rural and remote areas get access to high-speed Internet and participate in the digital economy. The program supports private investment to extend and enhance broadband service in areas where low population density would otherwise make this uneconomical. 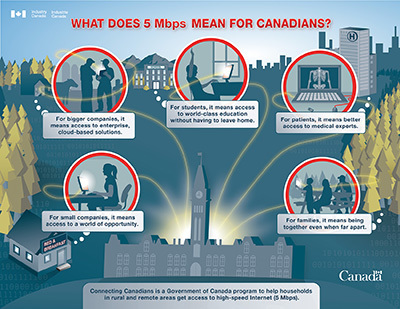 Through the Connecting Canadians program, the Government of Canada is working with Internet service providers (ISP) and other stakeholders across Canada to make high-speed Internet (5 Mbps) available to thousands of households in rural and remote parts of the country, some for the first time. With a target of connecting 280,000 households, Connecting Canadians provides non-repayable contributions toward the direct costs of selected projects. Our searchable map allows you to see which ISPs currently provide service in a given area, and whether Connecting Canadians projects have been announced there. See a list of announced projects. The Connecting Canadians program shares the costs of building broadband infrastructure that extends or enhances access to Internet of at least 5 megabits per second (Mbps) in areas of slower or no service. We thank all those who applied to the Connecting Canadians program, which is now closed to new applications. Selected projects are underway. By 2019, Connecting Canadians is expected to extend or enhance broadband Internet access to approximately 300,000 households across the country. In Budget 2016, the Government announced an investment of up to $500 million over five years for the new program Connect to Innovate to extend and enhance broadband service in rural and remote communities. Investment in quality broadband networks will extend access to innovative services that improve education, healthcare, productivity, and local quality of life. Canadians currently without 5 Mbps service are encouraged to contact local Internet service providers in their area to enquire about available high-speed Internet access. 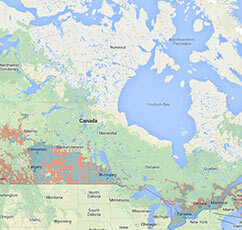 The final decision to offer high-speed Internet in a given area rests with individual ISPs. The $50-million northern component of Connecting Canadians extends and augments satellite capacity, bringing service of at least 3 Mbps to an estimated 12,000 households in Nunavut and the Nunavik region of Quebec. More information about this investment is available in the northern component section. Over 99 percent of Canadian households currently have access to basic broadband with speeds of 1.5 Mbps, but newer online technologies typically require faster speeds and higher data transfer rates. Through Connecting Canadians, the Government will boost speeds to 5 Mbps for at least 280,000 households across the country. Megabits per second (Mbps) is the international standard used to measure Internet speeds since the 1970s. Megabits are the unit of measure that is commonly used by ISPs to measure total amounts of data downloaded. One Megabit (Mbit) is one eighth of a Megabyte (MB), which is the unit normally used to represent memory storage capacity (e.g. on hard disk drives, mobile devices or USB memory sticks).